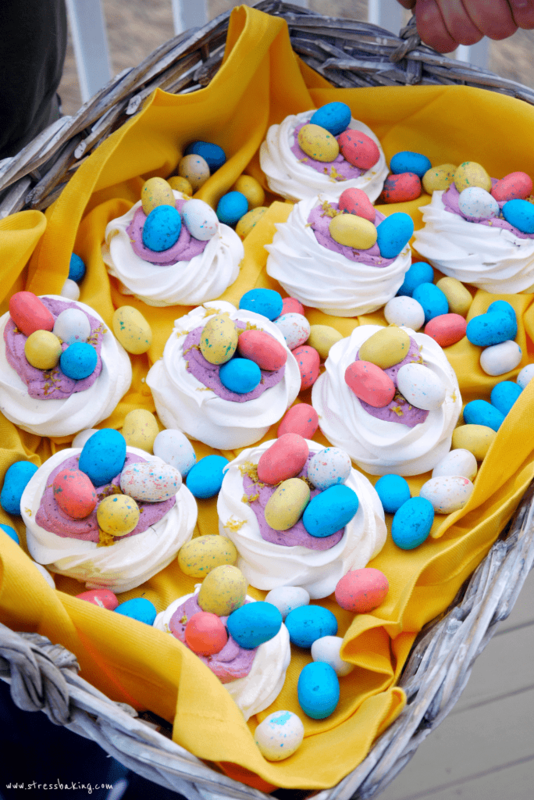 Nests of feather-light meringue filled with zesty lemon blueberry whipped cream and speckled mini robin’s eggs chocolates. 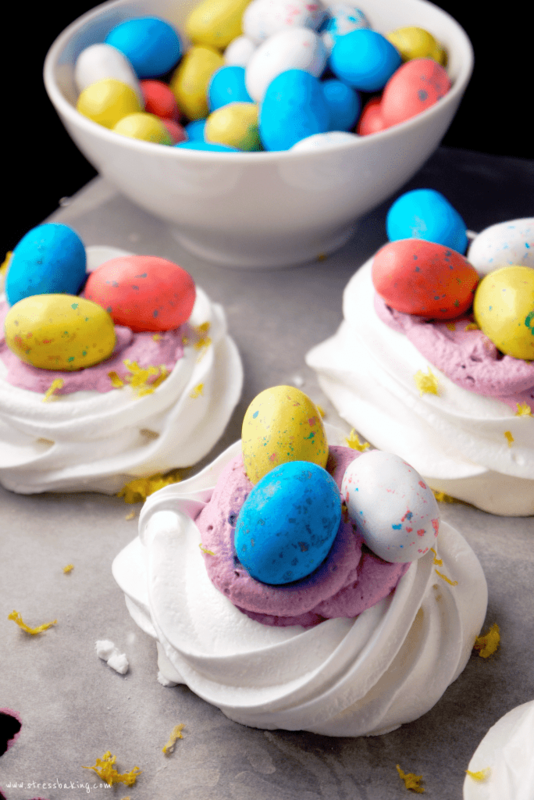 Perfect for Easter and to celebrate Spring! It’s officially Spring! 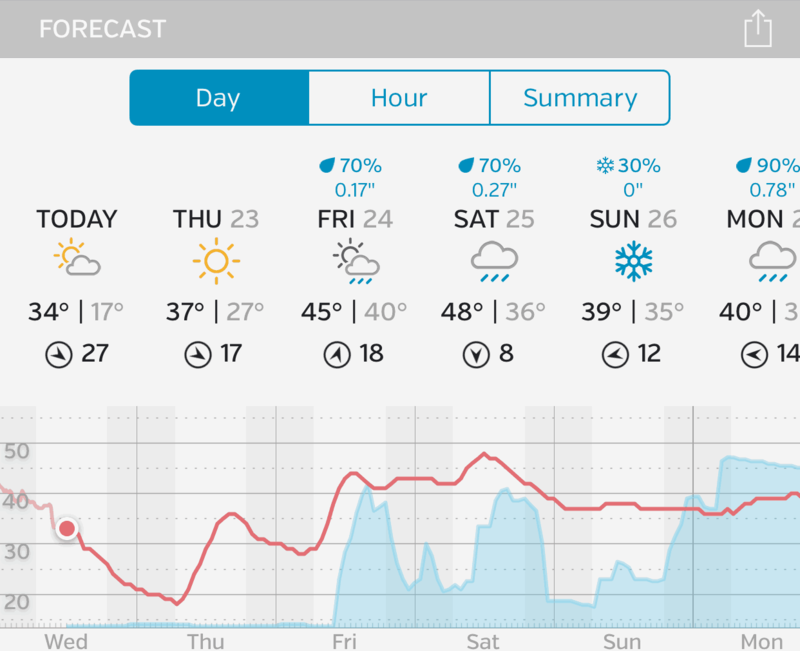 Mind you, we still have snow on the ground, it’s currently sleeting and my Weather Underground app is showing me snow in the forecast for the week. [glares] I see you and your potential snowflakes, Sunday. I’ve been itching to make this delicious pavlova again, but I have a hard time making a full pavlova knowing that it’s just the boyfriend and I in the house to eat it. And it’s not the easiest thing in the world to transport once it’s been cut into, so… I’ve been putting it off. 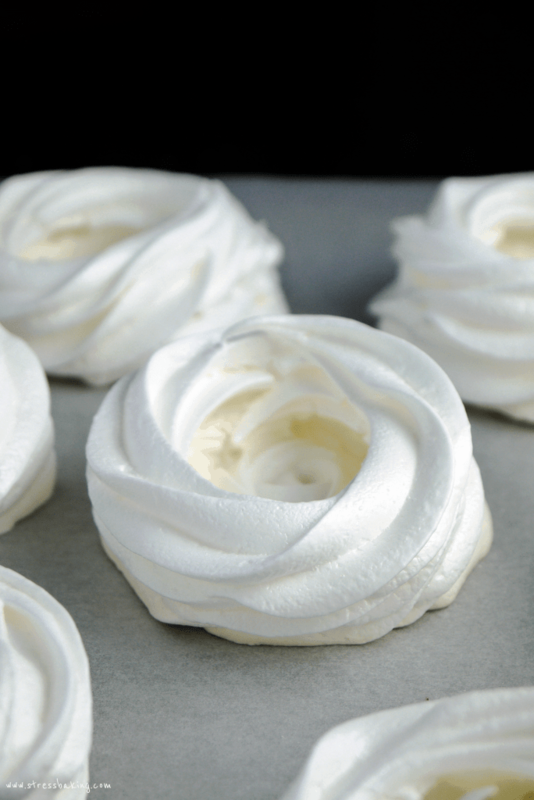 But then it occurred to me that I could just make mini pavlovas. Duh, Leslie! 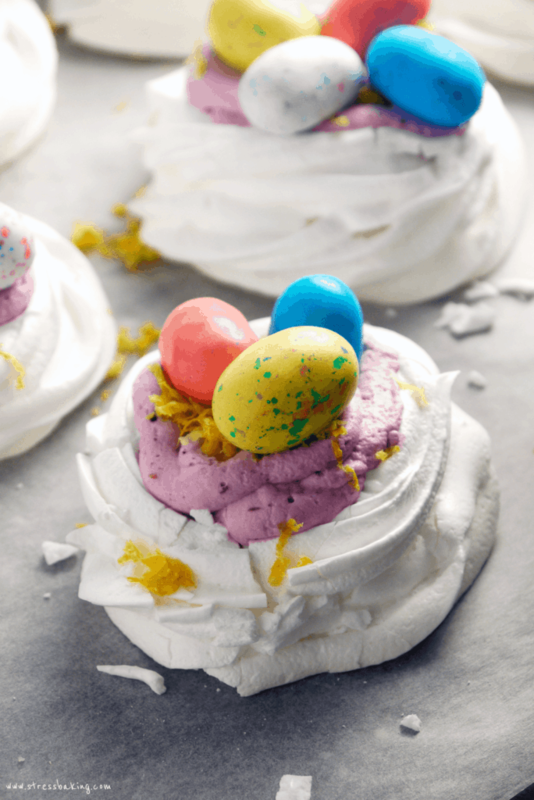 I started out calling them “mini pavlovas”, but then I recalled seeing people call them “meringue nests”. 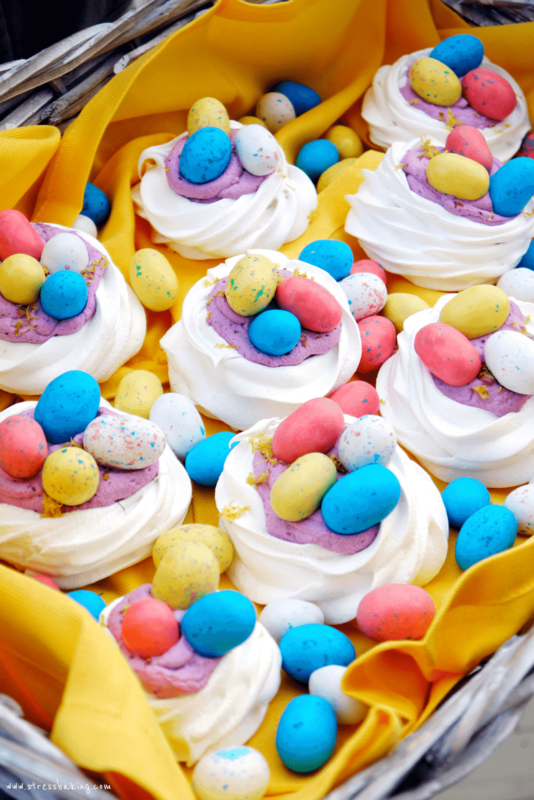 And once I got that name in my head, I couldn’t stop thinking about making adorable nests of meringue with those little mini robins egg candies lying atop filled with my favorite whipped cream (shocker, I know). Seriously, how cute are these? Baked at the right time and temperature, without the addition of vanilla extract (unless you have clear extract on hand) and left to cool completely in the oven results in pretty little white swirls. I covered him in whipped cream and he seemed to be okay with it. He wasn’t perfect, but I think it boosted his confidence a little. Sometimes you just have to put lipstick on a pig, ya know? Now let’s talk about the whipped cream. A reader had asked a while back about adding fruit to my mascarpone whipped cream recipe, and I’ve been meaning to try it out. So finally, I had a reason to! I wanted a bright pop of color to fill the meringue nests, and I had a fresh pint of blueberries in the fridge. I decided to reduce the blueberries down to a syrup and then blend it in with whipped cream. It worked out beautifully. Plus, I ended up with a couple tablespoons of homemade blueberry jam that I got to use on my toast the next morning. Bonus! I added lemon juice to the blueberry sauce during the reduction process, lemon extract to the frosting and topped the nests with some lemon zest. I adore the combination of blueberry and lemon, so I went a little heavy on it – feel free to cut it back in your own recipe if you’d prefer to the lemon flavor to be less present. For me, lemons and bright and spring-y, so until this snow is gone [glares at forecast again] this is going to help pull me out of the grey, winter funk. If I handed you one of those, would you be able to say no? The answer is no, no you could not. 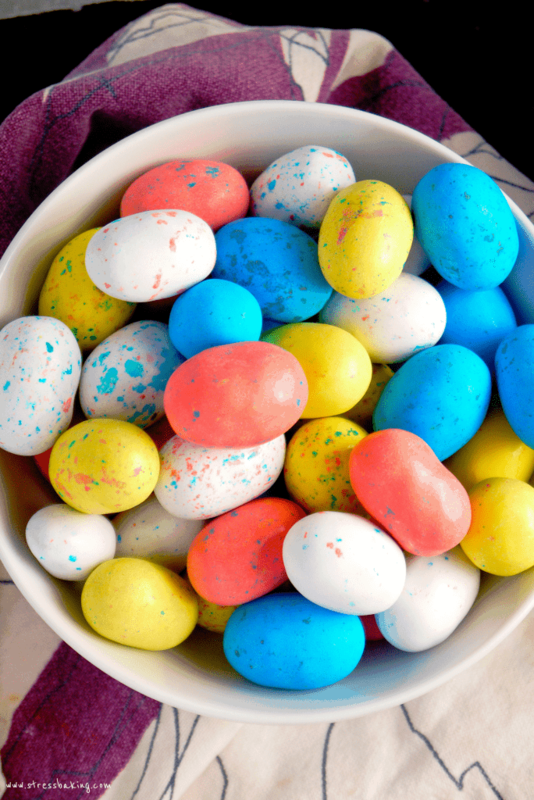 Here’s an idea – place them in a basket so that you can play Easter Bunny to your family and friends! 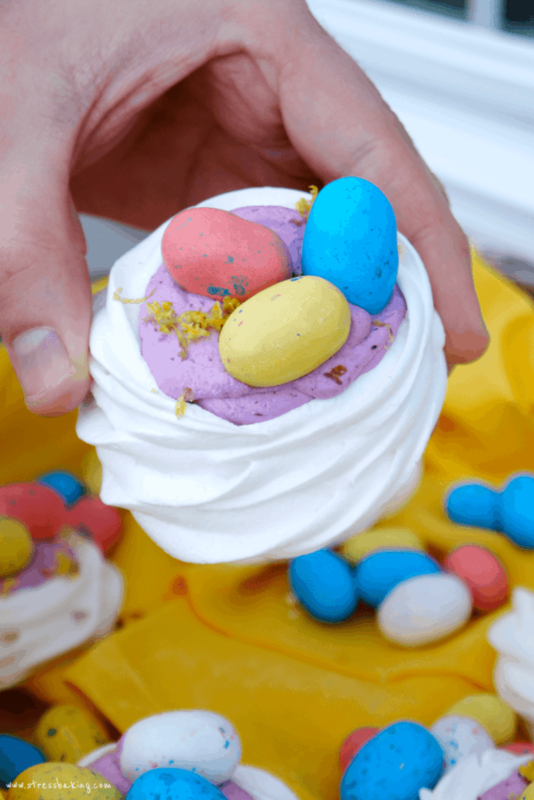 Show me how you do Easter in your home and tag @stressbaking/#stressbaking on Instagram! Preheat oven to 275°F. Prepare a baking sheet with parchment paper and set aside. In a large (squeaky clean) mixing bowl, whisk egg whites on medium speed until foamy. Add cream of tartar and salt and whisk on medium speed until soft peaks form. Add sugar slowly with the mixer running (about a tablespoon at a time) on high speed until stiff peaks form. 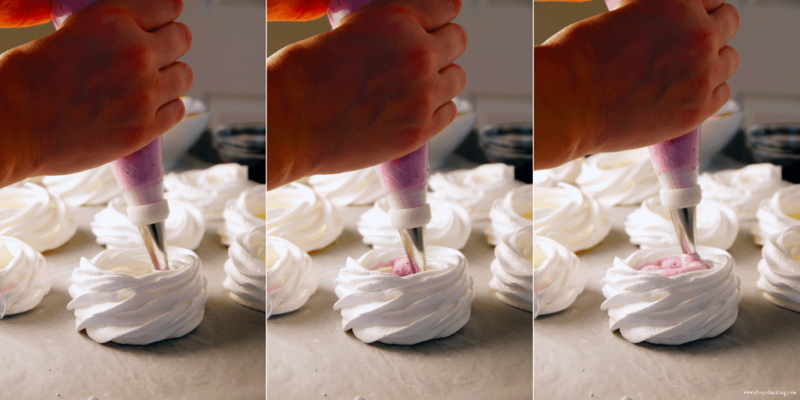 Fit a piping bag with desired tip and fill with meringue. Pipe onto prepared baking sheet: Starting in the middle, pipe in a circle to create a base and then pipe another layer or two up the sides, creating a little crater in the middle. 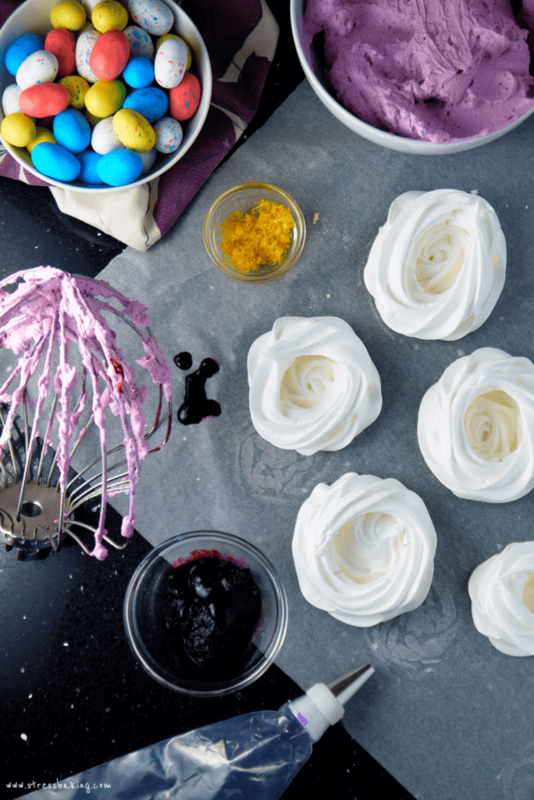 Place meringues in the oven and immediately turn down to 225°F. 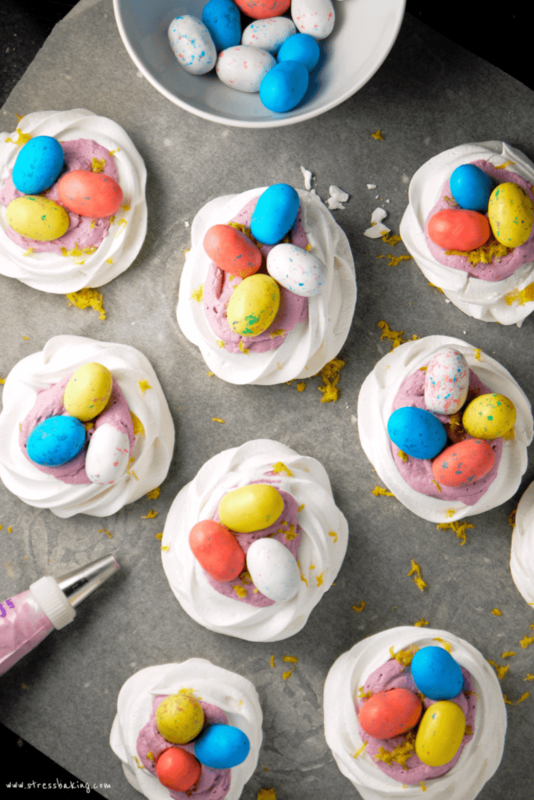 Bake for 1 hour (or until meringues are dry to the touch, but not yet golden – you want them to stay white) and crack open the oven door. 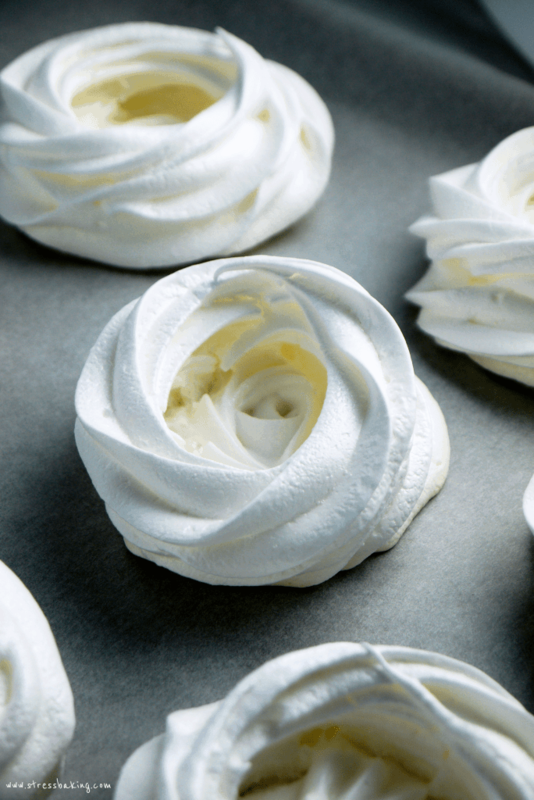 Leave the meringues in the oven to cool completely, for at least a few hours or even overnight. Zest a lemon and set the zest aside. Slice the lemon in half an juice it to get approximately 1 to 1 1/2 tablespoons of juice. In a small saucepan, combine blueberries, lemon juice and sugar and simmer over medium heat until boiling, then reduce the heat and simmer. Stir frequently and let it simmer until the sauce has thickened and it takes a second or two for the sauce to re-flood the area you just dragged your spoon through. Remove from heat and place a mesh strainer over a small bowl and press the sauce through the strainer. You’ll end up with around a tablespoon of jam – set it aside and save it for breakfast! Let the strained blueberry syrup cool completely. While the blueberry sauce is cooling, chill a medium mixing bowl in the fridge. In your chilled bowl with a whisk attachment, combine mascarpone cheese and sugar on a high speed until completely combined. Add lemon extract and heavy cream, and mix on a low setting until it is mostly combined. Now increase speed to high and whip until stiff peaks form. Add cooled blueberry sauce and whip again to combine. 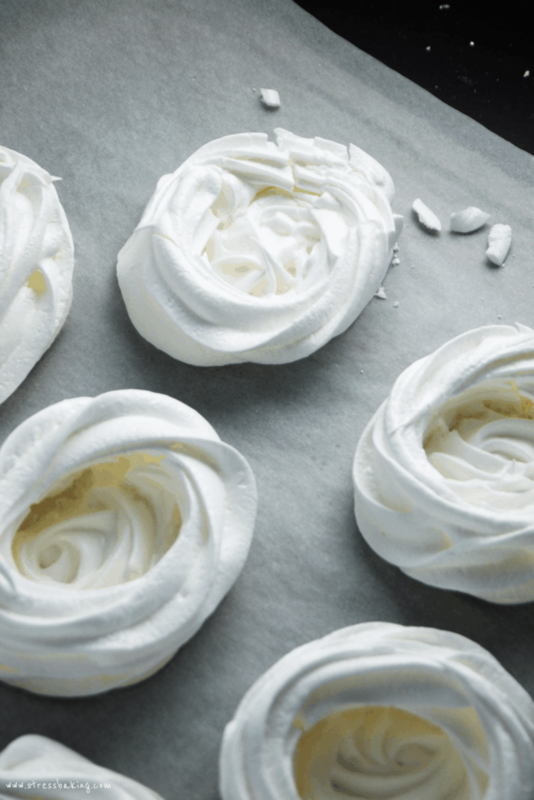 Fit a piping bag with desired tip and fill your cooled meringues. 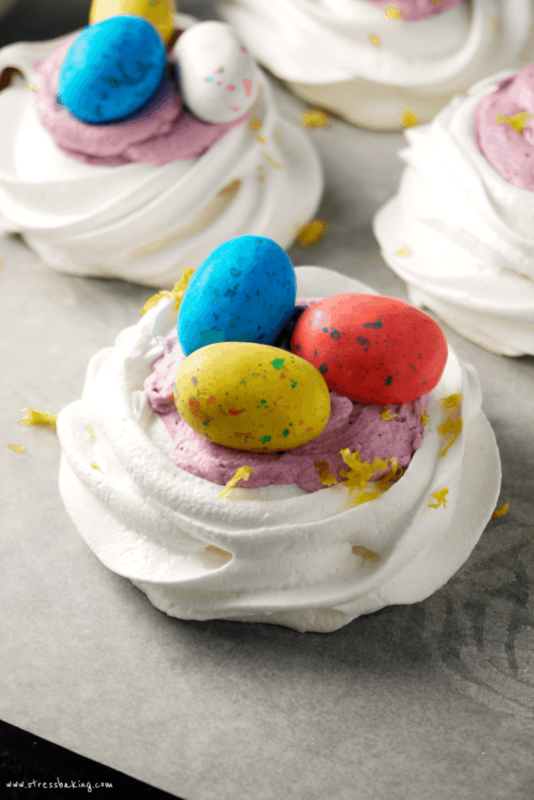 Top with reserved lemon zest and mini robin eggs candies and serve immediately. Enjoy!